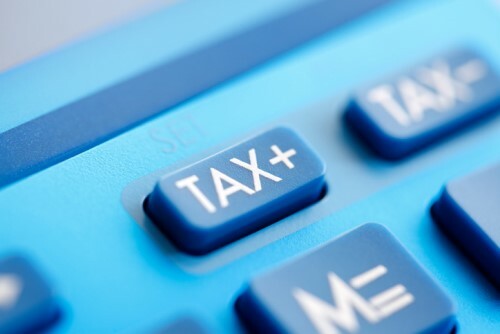 Accounting group CPA Canada has come out with a new report calling for the country to re-examine and rejuvenate its tax system as it risks becoming uncompetitive relative to its peers. The study indicated that many developed nations, including those which are considered as Canada’s biggest trading partners, have completed or are planning major tax-reform initiatives. Other countries like the UK, New Zealand, and Australia have also initiated full-scale review of their own tax systems. “That Canada has yet to join in a large-scale tax system review has drawn notice from some of the world’s most highly respected global institutions,” the group said. Personal and corporate tax rates have been dropping in other jurisdictions around the world, while consumption tax rates (sales taxes) have been rising. This, along with trade uncertainty and the US tax reform package, has created a tipping point where Canada’s tax competitiveness — which has historically been propped up by comparatively low corporate tax rates relative to other G7 countries — might not be sustained through the future. “While the combined federal-provincial general corporate income tax rate of 26.8 per cent is only slightly above the equivalent U.S. rate [of 25.8%], the rate itself is only one piece of a much bigger puzzle,” the report said. It maintained that the previous significant tax differential compensated for other issues, such as tax complexity and regulation. Coupled with recent changes affecting the taxation of private corporations, the loss of the tax differential advantage points toward Canada’s diminishing tax competitiveness. “Of even more concern is the fact that … Canada’s top [statutory personal tax] rate takes effect at a purchasing power parity-adjusted6 $174,592 U.S., less than half the average of the remaining six countries [in the G7], which kick in at $375,312 U.S., as of 2017,” the report added. Canada may also be falling behind its counterparts with respect to the tools used to raise government revenue. Whereas Canada’s government gets a sizeable chunk of its revenue from personal taxes (53%) and corporate taxes (15.4%), other countries in the G7 (excluding the US) lean more on value-added taxes (30.7%), reducing their dependence on personal (33.7%) and corporate (12.2%) taxes. “[R]ecent estimates show that for each dollar of revenue raised through corporate taxes, the economy bears nearly four times that cost due to effects on business investment and hiring,” the report said.